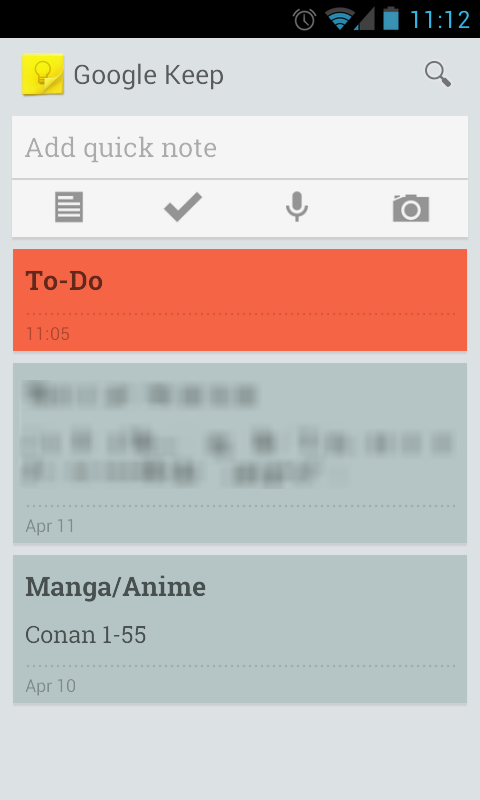 There is a way to sort notes and lists within Google Keep. Switch to the "Single column view" within the app's settings. Then press long on the note you want to rearrange. It's hovering and you can drag it above another entry until the thin blue line over the item underneath will get thicker. Release the item and it will be sorted above it. You can also use it in "Multi column view", but I think it's not clear enough where your item ends up in the list. So I prefer to use the Single column view and switch back afterwards. The changes applies to the Widget, too. Very important if you want your to-do-list always on top of the widget.